When you get a new set of seeds, most of them are locked at the beginning. Start planting seeds from the available packets, and that will start unlocking the rest of the seeds as you grow those flowers. 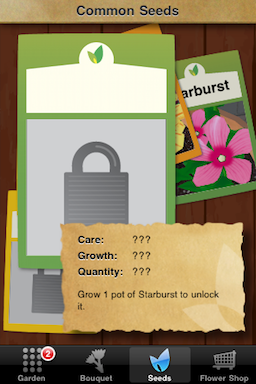 You can tap on a locked seed packet to see an explanation of what you need to do to unlock it.